Michael is a three (3) time United States of America Olympic Trails Qualifier in 2004, 2008, 2012 and has a personal best marathon time of 2:17:49 set in 2011 at the Grandma’s Marathon. 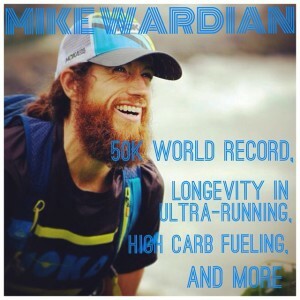 Michael is a six (6) time member of Team USA for the 100K World Championships in 2008, 2009, 2010, 2011, 2012, 2014 and has lead the team most years that he was a member with his best finish ever in 2011 for a Silver Medal for the USA and lead the team to the first ever Team Gold Medal for the USA Men (in the 26 years that the USA has been competing). Michael is a three (3) time member of Team USA for the 50K World Championships in 2009, 2010, 2014 and Michael was the Bronze medalist for the USA in 2009 and 2010. Michael was the 3rd place finisher at the Badwater Ultra Marathon (135 Miles in Death Valley, CA in July with average temps at 121 degrees) in 2011. Michael has won multiple USATF National Championships: 50 Miles (Road-2011), 50K (Road- 2008, 2009, 2010, 2011), 100K (2008), 50 Mile (Trails-2008). Podcast can be heard here.